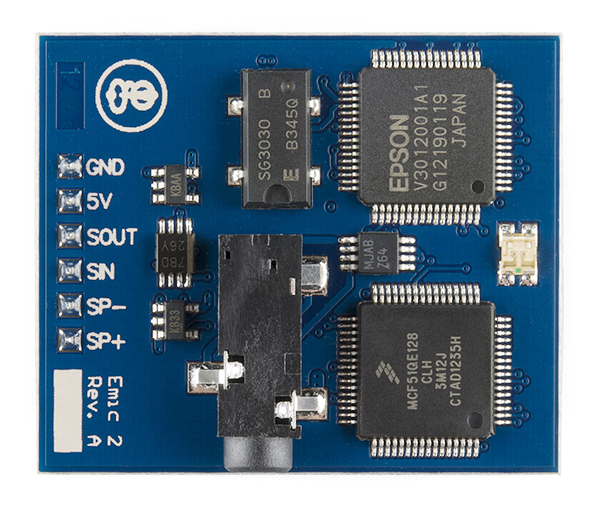 This package makes it possible to control an Emic 2 Text-to-Speech Module using Python. This module is packages as a driver for Zorg, a Python framework for robotics and physical computing. This module is designed to be non-blocking. Messages are queued before being sent to the Emic 2 using a worker thread. This allows your code to continue processing while messages wait for the Emic to transmit the ready signal. Additionally, the Emic 2 module is only able to receive a maximum of 1023 characters at a time. While this if often a sufficient amount of space for most messages, this library also handles this case by breaking messages over 1023 characters into multiple messages and queuing each of them. The Emic 2 module can only speak characters contained within the ISO-8859-1 (Latin 1) character set. This means that bad things will happen if you try to send something (such as unicode snowman ⛇⛇⛇) to your Emic. To prevent any possible issues, this is handled on the software side by this library by throwing an exception if an invalid character is received. Example Python code can be found in the project repo on GitHub (zorg-emic/examples).